1942. With the Nazi Party at the height of its power, the occupying army empties Poland's towns and cities of their Jewish populations. As neighbor turns on neighbor and survival often demands unthinkable choices, Poland has become a moral quagmire-a place of shifting truths and blinding ambiguities. Blending folklore and fact, Helen Maryles Shankman shows us the people of Wlodawa, a remote Polish town. We meet a cold-blooded SS officer dedicated to rescuing the Jewish creator of his son's favorite picture book; a Messiah who appears in a little boy's bedroom to announce that he is quitting; a young Jewish girl who is hidden by the town's most outspoken anti-Semite-and his talking dog. And walking among these tales are two unforgettable figures: the enigmatic and silver-tongued Willy Reinhart, commandant of the forced labor camp who has grand schemes to protect 'his' Jews, and Soroka, the Jewish saddlemaker and his family, struggling to survive. 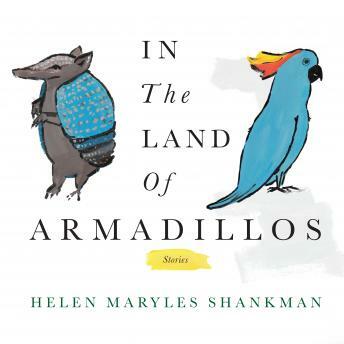 Channeling the mythic magic of classic storytellers and the psychological acuity of modern-day masters, In the Land of Armadillos is a testament to the persistence of humanity in the most inhuman conditions.